Join industry experts to discuss and analyze the latest advances and challenges within the industry. Network with industry professionals, discuss the revision of Annex 1, gain insight into novel rapid microbiology methods, explore case studies on contamination control and consider the issues surrounding data integrity. Developing on last years’ success, Pharmaceutical Microbiology UK 2019 will bring together industry experts to discuss and analyze the latest advancement and challenges within pharmaceutical microbiology. Discover how you can keep up with regulatory changes, and maintain the utmost efficiency during production and testing. Doctor Pharmacist, graduated in technological pharmacy, quality control and management. Currently Sterility and Aseptic Practice Assurance Expert and formerly Head of Performance and Pharmaceutical Support in Boehringer Ingelheim, Toulouse, France. Provide a corporate support on sterility and aseptic processes to Boehringer Ingelheim Animal Health sites. Used to work in or with the pharmaceutical industry for 15 years at various positions including pharmaceutical research and development, Quality Assurance, Quality Control, project management and production for both solid and injectable dosage forms. Di Morris - MRSC Chemistry and PGDiPS and a Qualified Person under permanent provisions since 1993; Pharmaceutical industry for over 30 years/ a number of years as a Medicines Inspector for the MHRA. Di/worked in the areas of Quality Control (Chemistry and Microbiology), Quality Assurance and Regulatory Affairs/worked with a wide range of dosage forms including sterile products, biological, and non-sterile products. How tight is hand tight? Thierry Wagner has spent over 30 years working for DuPont in its polyester films and nonwovens businesses in a variety of assignments ranging from process development and project management to operations and business management. He is chairman of the board of the Sterile Barrier Association (SBA), member of the Parenteral Drug Association (PDA) and actively involved in various ISO and CEN technical committees on medical and pharmaceutical packaging like ISO TC198 “Sterilization of Health Care Products” on Packaging (ISO 11607) as well as Aseptic Processing, CEN TC102 “Sterilizers for Medical Purposes” (packaging and VH2O2 sterilisers) and ISO TC76 “Transfusion, infusion and injection equipment for medical and pharmaceutical use”. Thierry is also a member of ISO/TC 210 in charge of ISO 13485, ASTM Committee F02 – Flexible Barrier Packaging and of the CEN ABHS (Advisory Board for Healthcare Standards - Europe). Thierry Wagner earned a master’s degree in mechanical and process engineering from ETH Zürich in Switzerland. He is a featured speaker at international conferences and seminars on medical and pharmaceutical packaging regulatory aspects. James Drinkwater is Head of Aseptic processing technologies & GMP compliance for F Ziel Germany, supporting international projects from a base in the UK. As a subject matter expert in Barrier separation technology; Isolator / RABS and hydrogen peroxide vapour bio-decontamination, James is involved in applications of sterile pharmaceutical product Filling, Aseptic processing of APIs/ ATMPs and Sterility testing. In addition to the role at F Ziel James has a voluntary role as Chairman of the not for profit society: PHSS – Pharmaceutical and Healthcare sciences society and leads the PHSS Aseptic processing & Bio-contamination special interest group. Does the attention of the regulatory agencies mean the ‘Death of the VHP process’ or is the ‘Death of scientific ignorance’ the real purpose of the Blog? Mr. Polarine is a senior technical service manager at STERIS Corporation. He has been with STERIS Corporation for seventeen years. His current technical focus is microbial control in cleanrooms and other critical environments. He has lectured in North America, Europe, Middle East, Asia, and Latin America on issues related to cleaning and disinfection in cleanrooms. Mr. Polarine is a frequent industry speaker and published several PDA book chapters and articles related to cleaning and disinfection and contamination control. He is active as co-chair on the PDA’s microbial investigations task force. He was a co-author on PDA’s Technical Report #70 on Cleaning and Disinfection. Mr. Polarine teaches the cleaning and disinfection course at the PDA Aseptic Processing Course and at the University of Tennessee’s Parenteral Medications Course. Mr. Polarine is currently President Elect for the PDA Missouri Valley and Technical Coordinator for IEST. Mr. Polarine graduated from the University of Illinois with a Master of Arts in Biology. He previously worked as a clinical research coordinator with the Department of Veterans Affairs in St. Louis, MO and as a biology and microbiology instructor at the University of Illinois. His main hobby is storm chasing and is very active in tornado research and tornado safety. Born on 28 November 1972 in Germany, always having a high interest in the field of molecular biology, Alexander Stoll completed his PhD thesis in Microbiology/Genetics during September 2001 at the University of Kaiserslautern. After moving to Sweden, he started working in December 2001 for Fresenius Kabi sterile international manufacturing plant in Uppsala, leading a group of microbiologists responsible for microbiological qualification of sterilization processes. Throughout the years Alexander has been holding different management positions for the Swedish manufacturing plants within Quality Control, Quality Assurance and as a Qualified Person. Starting 2012 he had responsibility as a Global Operations QA head, with regional QA and plant QA functions directly reporting to him. In his current position as Vice President Competence Center Microbiology & Aseptic Technique he has built a group of subject matter experts working with all pharmaceutical Fresenius Kabi manufacturing sites and compounding centers, setting global standards. Throughout the years he has gained intensive hands-on experience from different sterile manufacturing techniques for finished medicinal product & API and multiple international authority inspections. Tim Eaton B.Sc. (chemistry) has over 25 years’ experience of sterile manufacture with Zeneca Pharmaceuticals and AstraZeneca. During this time he has had extensive roles in technical support, production management and specialist activities for aseptically prepared products. He has had responsibilities for the design, construction, start up and validation of multimillion pound aseptic manufacturing facilities and has managed the introduction, technical transfer and scale up activities for a number of sterile products. He has published a number of papers relating to cleanroom activities and has also presented at various industry forums in Europe, Asia and the US. In his current role of Sterile Manufacturing Specialist he has responsibilities for the derivation, optimisation and implementation of best practices for aseptically prepared products. He sits on LBI/30, the British Committee for Cleanroom Technology. Professor Renate Rosengarten’s career originated from science and research through her work in academia which is for more than 40 years marked by a continuous interest in the infection biology of mycoplasmas, and their detection, prevention and control. Her passion for mycoplasmas took her to the University of Veterinary Medicine Hannover in Germany, the University of Missouri-Columbia in the US, and the Hadassah Medical School of the Hebrew University in Jerusalem, Israel. Since 1996 she is Professor and Chair of Bacteriology and Hygiene at the University of Veterinary Medicine Vienna in Austria. Besides her numerous former functions and activities in organizations and committees, such as President of the International Organization for Mycoplasmology (IOM), President of the Austrian Society for Hygiene, Microbiology and Preventive Medicine (ÖGHMP), and Working Group Leader of the Mycoplasma Task Force of the Parenteral Drug Association (PDA), Prof Rosengarten has long-standing entrepreneur and business experience in the biotech area. She was the Founder and Managing Director of the previous niche market leader Mycosafe Diagnostics which she has in 2014 re-established under the company name Mycoplasma Biosafety Services. Prof Rosengarten started the company in 2004 as a university spin-off and built it from scratch to a technological innovation leader in the area of Industrial and Pharmaceutical Mycoplasmology, offering GMP-compliant mycoplasma testing, validation and contract research services. In addition to her management and business activities and her academic duties as a lecturer, reviewer, committee and advisory board member, Prof Rosengarten also serves as an independent mycoplasma expert, key opinion leader and consultant for biopharma and biotech companies under her own international brand Mycosafe. Dr Versteegen received her B.Sc. and Ph.D. degrees in Biochemistry from Glasgow University, Scotland. She held Postdoctoral scholarships at Cambridge University, England and the National Institutes of Health working in areas of disease research. Following several years in NIH sponsored cancer research programs, she joined Life Technologies and held various key roles, both technical and business oriented, including Vice President of the GIBCO Manufacturing Facility, Vice President of Regulatory Affairs, Vice President of New Business Development and Vice President of Strategic Planning. In 2000, Dr Versteegen became a founding partner of the Lifia Group, a consulting organization focused on helping life science and biotechnology companies grow through clearly enunciated, actionable strategic plans. Since its inception in 2006, Dr Versteegen has been the CEO of the International Serum Industry Association, a global life science not-for-profit association. The mission of the Association is to establish, promote and assure compliance with uncompromised standards of excellence and ethics in the business practices of the global animal serum and animal derived products supply industry. The primary focus is on safety and safe use of serum and animal derived products through proper origin traceability, truth in labeling, and appropriate standardization and oversight. Where did that serum come from? Molecular biologist with a specialization degree in Biochemistry Science. Currently working in the Scientific Team of COPAN as Market Access Manager for the implementation of innovative Medical Devices in pre-analytics focusing on Italy, Eastern Europe and Asia Pacific Market. Her professional life started in a research Cardiovascular Physiology laboratory at San Raffaele Scientific Institute, Milan Italy, where she worked for more than 10 years and published scientific papers on International Journals. The objective of her research was the evaluation of myocardial metabolism in hypoxic and ischemic heart. In 2011, thanks to the “Mad Cow Disease”, she started a new job in Biorad Company. She spent three years as scientific product specialist in the life science division for Italy and Southern Europe (Spain, Greece, Portugal). She moved to Cepheid Europe for five years where her main topics were: Women’s Health, Hospital Acquired Infection and Tuberculosis. What swab to use for surface monitoring of environmental microbial contamination? Dr. Simoneau received his PhD on prion diseases in 2004 and until 2009 was part of the NeuroPrion management group that aimed to structure and integrate the expertise of more than 90% of the leading Prion research groups in Europe. He then joined the Corporate Biological Safety Surveillance team of LFB, a plasma product manufacturing company, as a biological safety project manager. Amongst his other missions, he piloted research projects in the field of bioslogical afety, contributed to viral and prion risk assessments and provided his biological safety expertise to subsidiaries of LFB. Dr. Simoneau is an expert on prion diseases and has been a member of the International Safety Advisory Committee (ISAC) from 2009 – 2017, that provided scientific guidance to LFB on biological safety aspects. Laurent Leblanc is R&D manager for bioMerieux’ Healthcare business. He holds a Master’s degree in Biotechnology from the University of Limoges, France. For the last 15 years, he worked in several biotechnology companies and before joining bioMerieux in 2008 worked in microbiological quality control in the pharmaceutical industry. He is now involved in designing and bringing to the market the new innovative and efficient solutions dedicated to the pharmaceutical and cosmetic industries. Jim Cannon is Head of OEM and Markets at Mettler-Toledo Thornton, he has a B.S. in Biology, degrees in Microbiology and Biophysics, and an MBA in Marketing and International Management. Mr. Cannon has over 35 years of experience in the management, design and development of ultrapure water treatment and technology. This includes measuring differential conductivity and UV oxidation for the detection of TOC in UPW and the design and commercialisation of electrodeionisation modules. Mr Cannon is currently involved in the standards and regulatory organisations for the Semiconductor, Photovoltaic and Pharmaceutical markets, and the commercialisation of alternative microbial technology. Philippe DUTOT is Engineer in Biotechnology and he owns a PhD in Molecular and Cellular Biology. He has around 25 years of experience in biotech and pharmaceutical industries at different management and specialist positions in R&D, Scale-up of Production, Quality Control and Quality Assurance. He is currently Sterility Assurance Specialist at Novo Nordisk Production - France in a facility dedicated to manufacture of aseptic products. He is also Corporate Lead Auditor for his company. Marine Marius is Scientist in the Analytical Sciences department of Sanofi Pasteur in the Microbiology/Virology platform. She leads the development, validation and implementation of rapid microbiology methods (bacteriology and molecular biology) for legacy and investigational products. She is an internal SME in endotoxin, mycoplasma and mycobacteria testing. Marine holds a M.Sc. in Biotechnology and Applied Microbiology from ESIL University (Ecole Supérieure d’Ingénieurs de Luminy) in France. Thierry Bonnevay obtained his Pharm. D pharmacist with special degree in Industrial Pharmaceutical Microbiology in 1996. He joined Sanofi Pasteur in 1997 as QC Bacteriology manager in Industrial Operation. He joined the Analytical Research and Development Department in 2004 and since that time he worked in the development, the validation and the implementation of Microbiology alternatives methods based on bacteriology and molecular biology for commercialized products and clinical products. He is currently Microbiology Platform Leader in Analytical R&D and part of the USP expert panel in Modern Microbiological Methods (MMM) since 2015. He is member of Groups of Experts at the European Pharmacopoeia EDQM Group 1 Microbiology since November 2016 and Working Party Bacterial Endotoxin Test (WP BET) since November 2017. View details bioMérieux Sponsors and Exhibitors http://www.biomerieux.com/en/industry-solutions A world leader in the field of in vitro diagnostics for over 50 years, bioMérieux is present in more than 150 countries through 43 subsidiaries and a large network of distributors. In 2017, revenues reached €2.3 billion, with over 90% of sales outside of France. bioMérieux provides diagnostic solutions (systems, reagents, software) which determine the source of disease and contamination to improve patient health and ensure consumer safety. Its products are mainly used for diagnosing infectious diseases. They are also used for detecting microorganisms in agri-food, pharmaceutical and cosmetic products. View details Fujifilm Wako Sponsors and Exhibitors http://www.wakopyrostar.com Long recognized as a world-renowned supplier of high purity chemicals, Fujifilm Wako has dedicated more than 30 years of research and development to providing innovative endotoxin-specific reagents and consumables for “every user and for every method”. Visit us at www.wakopyrostar.com to learn how Fujifilm Wako can best support your quality testing needs. METTLER TOLEDO is a leading manufacturer of quality weighing, analytical, and measuring solutions serving a diverse range of industries in laboratory, industrial and food retailing environments. METTLER TOLEDO has over 60 years of experience producing liquid process and ultrapure water analytics measurement solutions that allow manufacturing companies to control production through in-line, on-line or at-line analytical measurements. Our portfolio of analytical solutions includes pH, ORP, dissolved oxygen, dissolved CO2, turbidity, conductivity/resistivity, dissolved ozone, total organic carbon, microbial contamination, sodium ionic contamination, silica concentration, chloride and sulphate analysis. Reading Scientific Services Limited (RSSL) provides analytical, investigational, consultancy and training services to clients in the global pharmaceutical, biopharmaceutical and healthcare industries. We help our partners to develop drug products that are safe, innovative and of the highest quality. Our GMP compliant facilities are located in the UK and with our team of more than 200 dedicated scientists we ensure that every project is performed with our absolute commitment to outstanding quality, scientific excellence and customer satisfaction. We offer a large portfolio of microbiological, biological, chemical and physical services to ensure the identity, purity, safety and quality of your product through the full drug product life cycle. 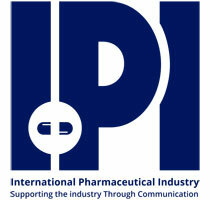 View details European Pharmaceutical Review Official Media Partner https://www.europeanpharmaceuticalreview.com/ European Pharmaceutical Contractor (EPC) is a quarterly publication dedicated to the international pharmaceutical contract market. Since its establishment in 1997, EPC has provided coverage of technical, strategic and regulatory developments within the industry. 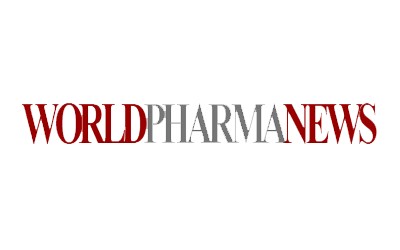 The magazine features in-depth opinion-led articles, reviews and interviews, on topics including drug development, outsourcing, pharmacovigilance, partnerships and eClinical management. Read EPC in print, online, or via the Samedan app. View details Microbiology Society Official Media Partner http://www.microbiologysociety.org The Microbiology Society is a membership charity for scientists interested in microbes, their effects and their practical uses. It is one of the largest microbiology societies in Europe with a worldwide membership based in universities, industry, hospitals, research institutes and schools. Our members have a unique depth and breadth of knowledge about the discipline. The Society’s role is to help unlock and harness the potential of that knowledge. View details Rapid Microbiology.com Official Media Partner https://www.rapidmicrobiology.com rapidmicrobiology.com is a well-established on-line resource for microbiologists worldwide, find the right products for your microbiology lab using our specially designed search functions. To keep up-to-date with the latest microbiology news get our free weekly newsletter which includes updates on products, services, webinars, training courses and conferences. A world leader in the field of in vitro diagnostics for over 50 years, bioMérieux is present in more than 150 countries through 43 subsidiaries and a large network of distributors. In 2017, revenues reached €2.3 billion, with over 90% of sales outside of France. bioMérieux provides diagnostic solutions (systems, reagents, software) which determine the source of disease and contamination to improve patient health and ensure consumer safety. Its products are mainly used for diagnosing infectious diseases. They are also used for detecting microorganisms in agri-food, pharmaceutical and cosmetic products. Long recognized as a world-renowned supplier of high purity chemicals, Fujifilm Wako has dedicated more than 30 years of research and development to providing innovative endotoxin-specific reagents and consumables for “every user and for every method”. Visit us at www.wakopyrostar.com to learn how Fujifilm Wako can best support your quality testing needs. European Pharmaceutical Contractor (EPC) is a quarterly publication dedicated to the international pharmaceutical contract market. Since its establishment in 1997, EPC has provided coverage of technical, strategic and regulatory developments within the industry. The magazine features in-depth opinion-led articles, reviews and interviews, on topics including drug development, outsourcing, pharmacovigilance, partnerships and eClinical management. Read EPC in print, online, or via the Samedan app. The Microbiology Society is a membership charity for scientists interested in microbes, their effects and their practical uses. It is one of the largest microbiology societies in Europe with a worldwide membership based in universities, industry, hospitals, research institutes and schools. Our members have a unique depth and breadth of knowledge about the discipline. The Society’s role is to help unlock and harness the potential of that knowledge.